Series: What is this thing called? What is morality? How do we define what is right and wrong? How does moral theory help us deal with ethical issues in the world around us? critiques of morality from Marx and Nietzsche. What is this Thing Called Ethics? has been thoroughly revised and updated throughout, with a new final chapter on meta-ethics. 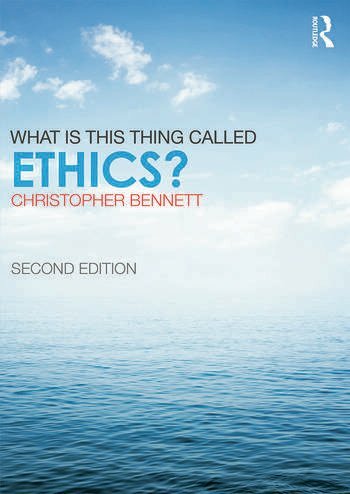 With boxed case studies, discussion questions and further reading included within each chapter this textbook is the ideal introduction to ethics for philosophy students coming to the subject for the first time. Christopher Bennett is Lecturer in Philosophy at the University of Sheffield, UK. His research interests include moral, political and legal philosophy. His previous publications include The Apology Ritual: A Philosophical Theory of Punishment (2008).